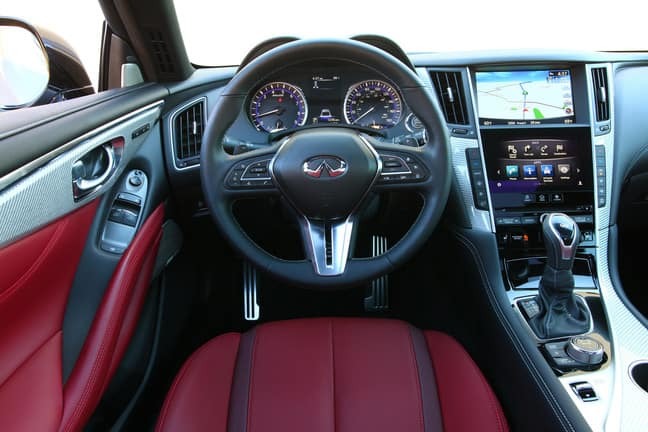 The 2018 INFINITI Q60 Coupe is already making a statement because of its updated design and all-new technologies used. But we know you want to know more about this sporty new luxury car at our Bergen County location. Let’s start with what’s under the hood and the engine options. There’s the all-new VR30 3.0L twin-turbo V6 that’s offered in 2 versions: one delivering 400 hp & 350 lb/ft of torque and one producing 300 hp & 295 lb/ft of torque. They get up to an EPA-estimate 23 and 22 mpg, respectively. Then, there’s the 208-hp 2.0L turbocharged 4-cylinder engine upping the efficiency to 24 mpg. There are also 4 trim choices available in both RWD and AWD: PURE, LUXE, SPORT and SPORT 400. The LUXE can be equipped with either engine, while the PURE only gets the 2.0L and the SPORT & SPORT 400 come with the 3.0L. All of these engine choices are designed to handle well while giving you a sporty ride no matter where and when you drive. Besides the 5 driving modes (Customize, Standard, Snow, Eco, Sport) from previous years, a new mode is offered in the 2018 INFINITI Q60 Coupe: Sport+. Sport+ really makes the most of the all-new 2nd-generating Direct Adaptive Steering that lets you customize the steering performance to your driving mood and the weather even further. Nothing makes a drive more fun than the soundtrack you listen to on the road, whether it’s music or talk radio. And nothing enhances the audio more than the all-new 13-speaker Bose Performance Series sound system with noise cancelling technology to help keep the irritating honking of horns to a minimum. 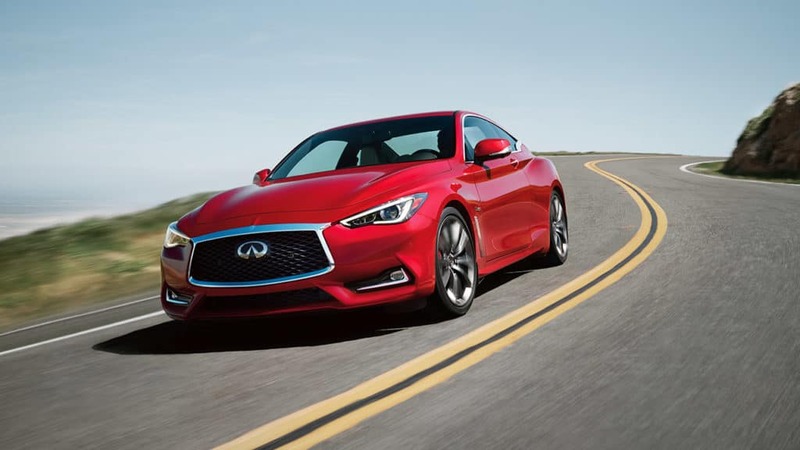 Ramsey INFINITI has an extensive Q60 lineup available to test drive now!